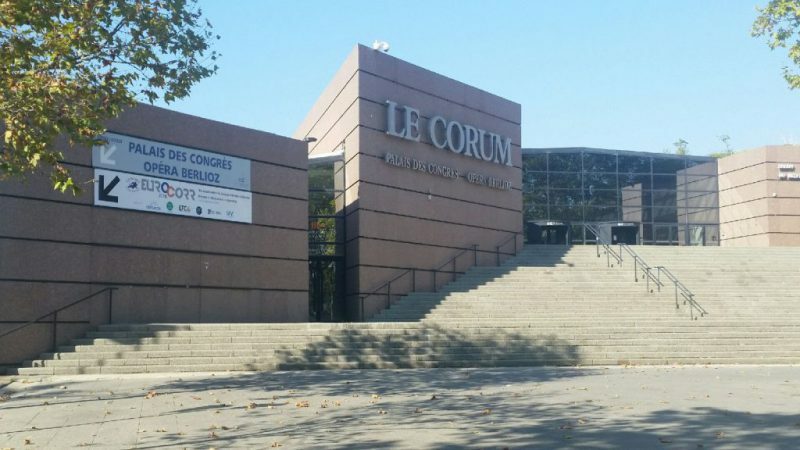 On Monday, September 12th, has started in Montpellier (France), the 26th edition of Eurocorr, the annual event of the European Federation of Corrosion (EFC). CORRODYS was present to this event as a visitor, and was also represented on stage, during a conference, thanks to its collaborative R&D project with TOTAL and MISTRAS Group. For the 4th time since its creation in 1982, the EFC has chosen France to welcome its annual event. For once, it took place in Montpellier, instead of Nice where the past French Eurocorrs had been organized (in 1996, 2004 and 2009). More than 1000 persons, from 58 countries, were present at the congress, which is the best performance ever in terms of attendance. Over those 4 days of conferences, 36 sessions and workshops has been organized to rally industrialists, scholars and researchers around different topics, 141 scientific posters has been presented, and more than 540 oral presentations has been delivered to present innovation and R&D projects such as: Methodology for assessing durability of anticorrosion coatings in storage from laboratory tests, Characterization of humidity effects on electronics by means of impedance spectroscopy, or Bacterial corrosion: risk assessment in a district cooling system. 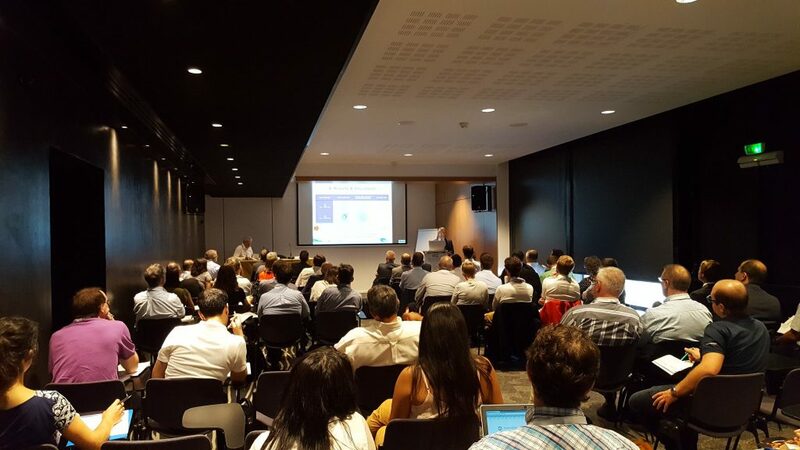 This is also during one of those conferences that Mr Alain Proust, Director of R&D Instrumentation at MISTRAS Group, has presented the first results of a R&D project realized with TOTAL and CORRODYS: Use of acoustic emission to characterize microbiological corrosion evolution. This innovative project aims to assess the use of accoustic emission as a detection tool of biocorrosion phenomena. But a way to recreate those phenomena had to be found. This is for its unique knowhow that CORRODYS has been included in this project. In fact, the testing-loop developped by TOTAL and CORRODYS to test biocides efficacy has been use to recreate biocorrosion phenomena in laboratory and allowed those phenomena to be monitored. The organization of Eurocorr next edition is already in progress by the EFC and will take place in Prague. See you there next september !